On 9th May two master lectures being part of Off Camera Pro Industry will take place at MOCAK. We would like to invite you to a meeting with Andrzej Wajda at 3 pm and with Professor Jerzy Stuhr at 5.30 pm. 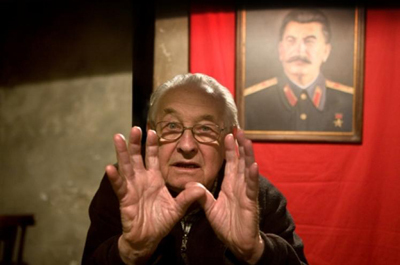 Andrzej Wajda, a prominent film director, in a masterly lecture will reveal the secrets of how the "Walesa. Man of Hope ," which is the Polish candidate for the Oscar, was created. "Walesa. Man of Hope" is not only a film biography of the "Solidarity" leader, who changed the trail of Polish history. Above all, it is a story of an exceptional man, who remains a husband and father while the tragedy of his homeland unfolds just around the corner. Wajda, breaking into the intimate sphere of the former president’s life, tries to capture the phenomenon of a simple labourer who conquered the hearts of millions of people who dreamt about freedom. How did he do that? That is what you will find outat the meeting with the director. Apart from the brilliant Robert Więckiewicz the film also stars Agnieszka Grochowska, Maciej Stuhr, Mirosław Baka, and Cezary Kosiński. The screenplay was written by Janusz Glowacki. Paweł Edelman, nominatedfor the Academy Award for the "The Pianist," is the author of shoots. The meeting with Jerzy Stuhr will be chaired by Tomasz Raczek. It will concern the Professor's presence at the Festival (during the 7th edition of Off Plus Camera Jerzy Stuhr will appear in a new role: the President of the Jury of the 'Making Way' Main Competition) and his new film Obywatel, whose premiere is scheduled for autumn. 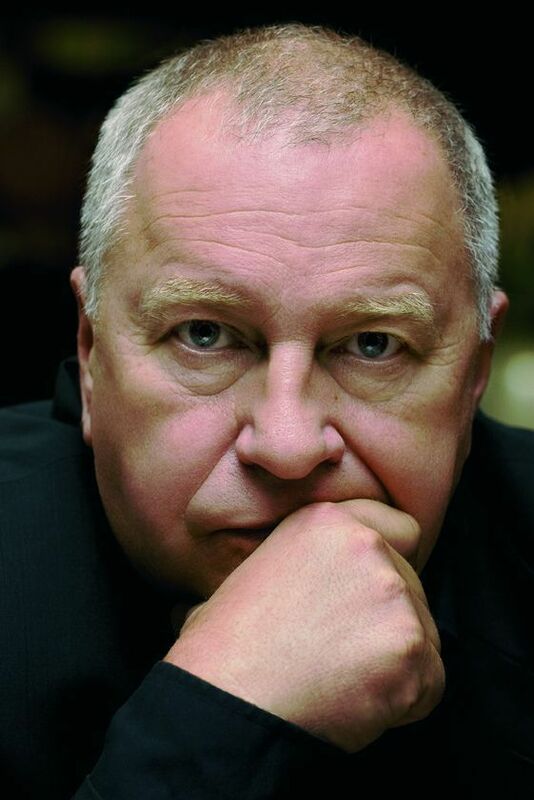 Jerzy Stuhr - theater and film actor, director, art professor, native Krakow citizen. Jerzy Stuhr creates and works in Poland and Italy. Since 1998, he’s a member of the European Film Academy. He’s one of the most popular and most versatile Polish actors of theater and film; director, pedagogue and professor in the field of theater. He made many memorable author films including “Spis cudzołożnic”/”List of Lovers” (1995), „Historie miłosne”/"Love Stories" (1997), „Tydzień z życia mężczyzny”/"A Week in the Life of a Man" (1999), „Korowód”/"Procession" (2007). His new film "Citizen" (2014) will have its premiere this year in fall. Jerzy Stuhr graduated from Polish studies at the Jagiellonian University (1970) and acting at the Ludwik Solski State Drama School in Kraków (1972), where he was also the Rector twice. He lectured also in Italy. He was associated with the STU Theatre, then with the Stary Theatre, Ludowy Theatre in Nowa Huta, continuously with Television Theatre, currently with Polonia Theatre in Warsaw. He collaborated with the best Polish theatrical directors as Konrad Swinarski, Andrzej Wajda, Jerzy Jarocki as well as Polish film directors as Krzysztof Kieślowski, Feliks Falk, Agnieszka Holland and Juliusz Machulski. Off Camera Pro Industry is a special programme of professional events, which is a part of Off Plus Camera already for the second time. To participate in the event collect your free entrance ticket from the Festival Centre. OFF PLUS CAMERA International Festival of Independent Cinema is one of the most important and, at the same time, youngest film festivals in Poland. It takes place annually in Krakow as a part of the Krakow Municipality’s cultural project called The Six Senses. OFF PLUS CAMERA is a celebration of original, imaginative filmmaking at its best. It is also designed to spark discussion and encourage sharing of ideas. To complement the independent status of most of the films shown at the festival, the vast majority of the screenings are held in small-to-medium venues. The idea behind this decision was to pay tribute to the small movie theaters and so-called film discussion clubs which were the home of art-house cinema during the oppressive years of Communism. In the 1970s, 1980s, and 1990s these venues functioned as meeting places for the Polish film buffs and intellectuals alike. The Festival also features a variety of lectures, meetings with artists, discussion panels and musical events.